Join us for the Fourth Annual Dash for Recovery 5K on Sunday October 7, 2018 at 9:00 am. The event will start and finish at Stellos Stadium adjacent to Mine Falls Park in Nashua, NH. This race raises much needed funds for Nashua Safe House. It is about supporting a vitally important and worthy cause and at the same time having FUN in running or walking this beautiful course! It is organized by the Friends of thethe Nashua Safe House and benefits their centers in Keene, Northfield, and Dublin, New Hampshire. Individual runners and walkers are welcome to this 5K run/walk event. All will be treated to a terrific post-race celebration. Shirts for pre-registered runners. 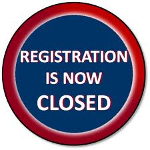 Earlybird online registration fees are $25.00 (plus processing fees) for adults, and $15.00 (plus processing fees) for youth 17 and under through Jult 4th. Adult registrations increase to $30 on July 5th. Youth registrations remain at $15.00. Mail in and race day registrations will be $30.00 for adults and $20.00 for youth 17 and under.